We’re in the thick of wedding season in Edmonton so this blog post is a few days late in coming as we try to squeeze in some blogging in between photo shoots and editing. 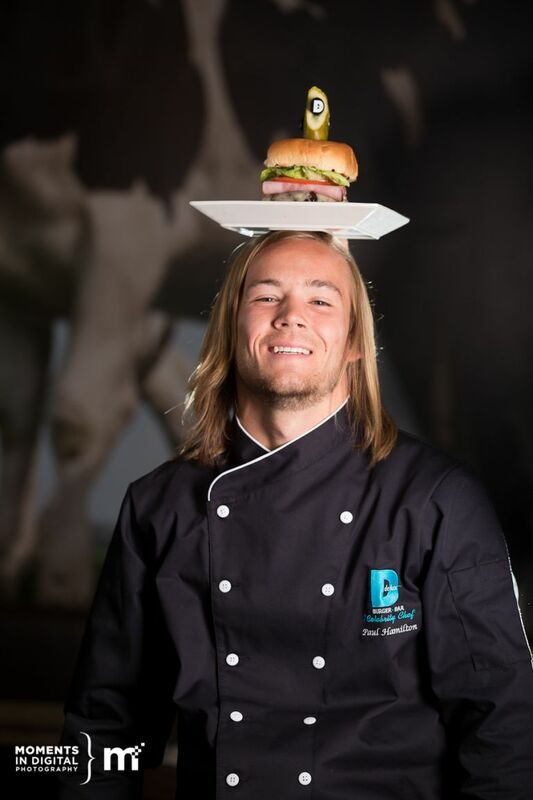 Hard to believe that it’s August already but the start of a new month brings us another new Delux Burger Celebrity Chef. 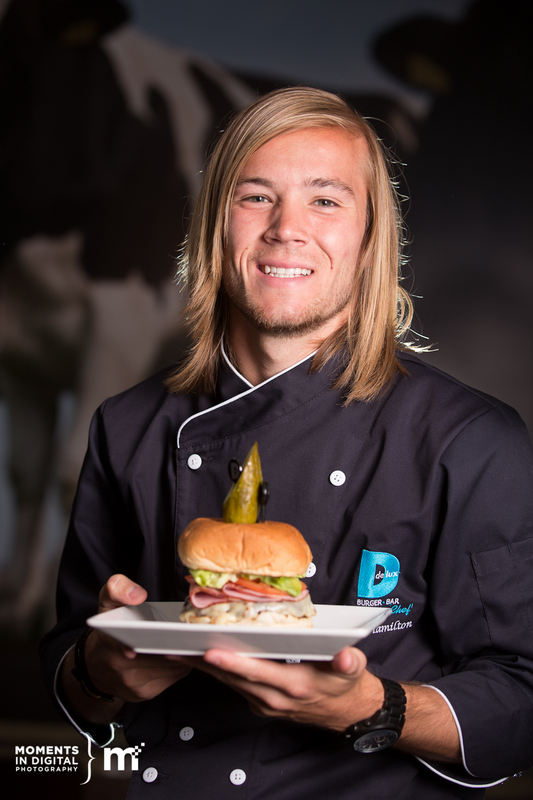 This month’s Celebrity Chef is Paul Hamilton from FC Edmonton – Edmonton’s professional soccer team. We met up with Paul a couple of months ago to do his photo shoot and Paul had some fun with it – even making use of his soccer skills to balance his creation on his head! 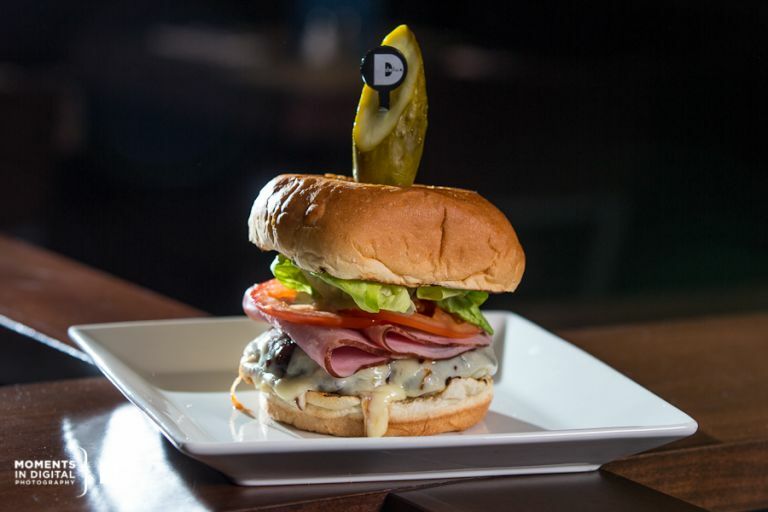 Paul’s creation is called “The Hammy” and features a 7 oz Heritage Angus Beef patty, BBQ sauce, black forest ham, swiss cheese and all the groceries on a fresh baked bun. Paul has chosen to support the Stollery Children’s Hospital Foundation and $1 from every burger sold will support the Stollery. Be sure to stop by either location of Delux during the month of August to try this great burger and support the Stollery. Here is a sampling of the commercial photography that we created for the art team.